There are three types of people likely reading this story. There are those who have been recently inspired to reignite the '90s grunge fashion trends of their past, as well as those for whom this is a completely new style endeavor. Both groups could have been inspired by anything from celebrity style to the latest fashion month’s street style, which have both been rife with '90s nods. There are also those who actually never let go of their '90s roots, because why would anyone want to let go of one of the coolest decades of fashion? Regardless of your reason, if you clicked on this story you're ready to do some shopping, and boy are you in luck. From slip dresses to plaid (in all forms) to throwback denim styles and ankle boots, we’ve rounded up the best pieces for the '90s lover in all of us—who now happens to be acutely on trend. 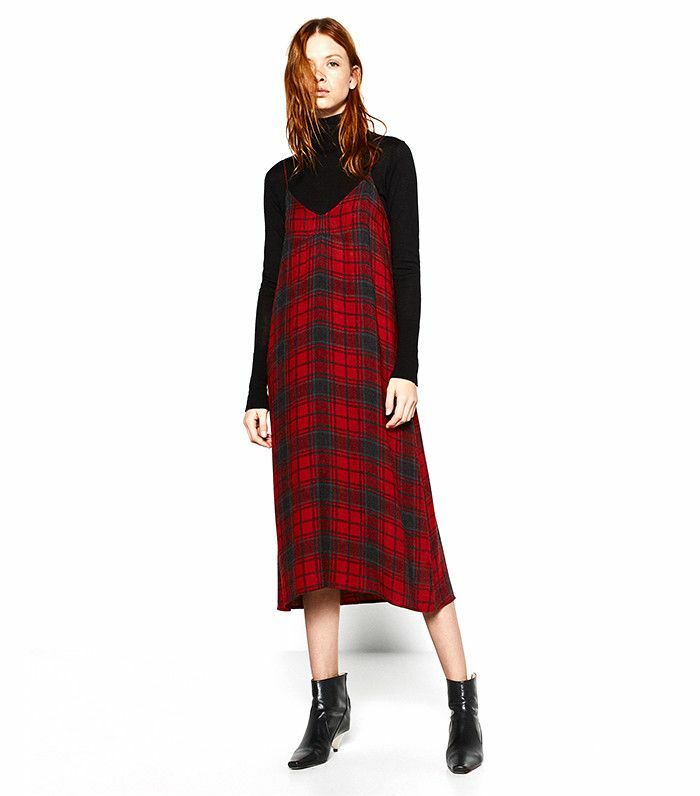 A perfect dress for layering. Pair this awesome tee with some high-waisted jeans. It doesn't get more authentic than Levi's. We love the unexpected ribbon on these. This is a much-needed basic, no matter what decade you want to channel. Pair this with a T-shirt or a button-down. Take the standard slip up a notch with velvet. This beanie will keep you and your locks covered. We're taking styling cues from Urban Outfitters on this one. Pair these with lace-up boots and a flannel for the ultimate off-duty look. If fishnet tights aren't your thing, make the same statement with stylish socks. Pair this sleek skirt with a tee and sneakers for an elevated daytime look. These are on trend in so many ways. Take the guesswork out of styling yourself with this illusion dress. Wear this as shown or layer it under all your tops and dresses. A piece no grunge girl can go without! Dress up this look with a pair of strappy heels. Wear these with everything from jeans to dresses. See how your favorite celebs nod to the '90s.